A great deal of the wave information you'll see on MSW and elsewhere will be 'swell height' - that is the height of unbroken waves as they approach the beach in deep water. As these swells approach the beach they change in shape and size and start to form into breaking waves. Our 'surf' heights are an attempt to give you an idea of how big the actual waves on the beach will be. Of course this is the bit, as a surfer, you're most interested in. However that final journey of a swell into shallow water and to breaking waves on the beach is in many ways the hardest part to model and predict. What does our model do? 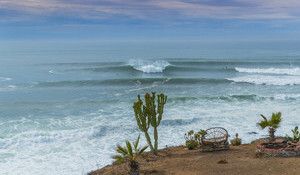 The height of the swell. The period of the swell. The direction of the swell. Larger swells make larger waves, but so do longer period swells, in fact small very long period swells can make sizable waves on the beach. Swells that aren't heading straight towards the beach generally make smaller waves, but longer period swells can refract (or bend) better than short period ones. 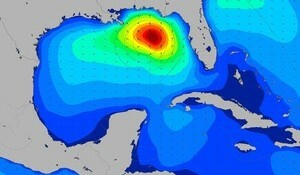 We take all this into account for your Surf Height forecast. The tide. Some spots will be very tide sensitive and in the most extreme case can go from flat to surfable in just a couple of hours on the same swell. Local bathymetry. Local obstructions, refraction and seabed slope dependent on tide will all play a part in the final breaking wave height. You’ll still need to use a bit of local knowledge to dial this for your nearest beach. The wind – onshore winds can cause waves to break earlier before they reach their maximum height. Take account of a maximum realistic height for your spot. 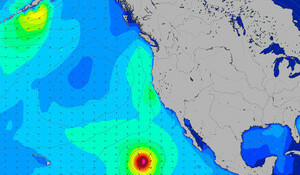 Some spots will start to ‘max out’ or break on an outer bank or reef beyond a certain size. We’ll show the largest theoretical wave range but won’t allow for this for each specific spot. Our surf heights are a guide, they give experienced forecasters an 'at a glance' view of the conditions and beginners a great tool to learn how to spot swells that'll dish up the best surf. However because of the subtle local factors we've mentioned they're a stepping stone to using the advanced swell data we provide to truly dial your call for your local break. 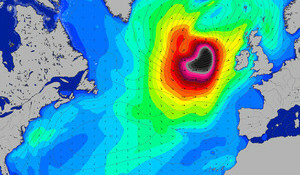 You should also be aware that our forecast is always for a realistic range of wave sizes. There'll never be an occasion where all the waves in a session are the same or even similar sizes. While we show only the average set wave size in the main forecast hovering your mouse over this number will give a better idea of the range of waves sizes most likely, as well as a body height scale for the forecast.